A special meditation intensive led by Hojin Sensei and Zuisei Sensei, Wild Grasses Sesshin is a chance for those who identify as women to practice this ancient form of zen training within the uniquely supportive environment of an all-women practice community. 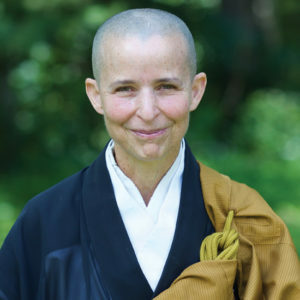 Characterized by silence and deep introspection, sesshin is recommended to anyone who is sincerely interested in experiencing intensive Zen training. We wake up each day before dawn to begin a schedule that includes 7 to 10 hours of zazen, chanting services, formal silent meals in the zendo (oryoki), work practice and talks by the teacher and senior students. This sesshin will offer an opportunity to draw from the tremendous strength of people practicing together and experience the deep stillness that lies within each one of us. Participants may begin this sesshin on Thursday or Friday evening. Because sesshin is a very intensive retreat, those wishing to attend should first complete an Introduction to Zen Training Retreat or have participated in sesshins at another Zen center. 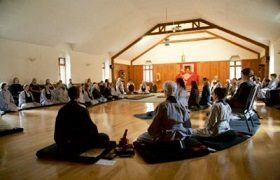 Those who have never participated in sesshin before, or who are newer to Zen practice, should plan on beginning with the Friday-Sunday portion of the retreat. First-time sesshin participants should call the Training Office to set up a “sesshin interview” as part of the registration process.